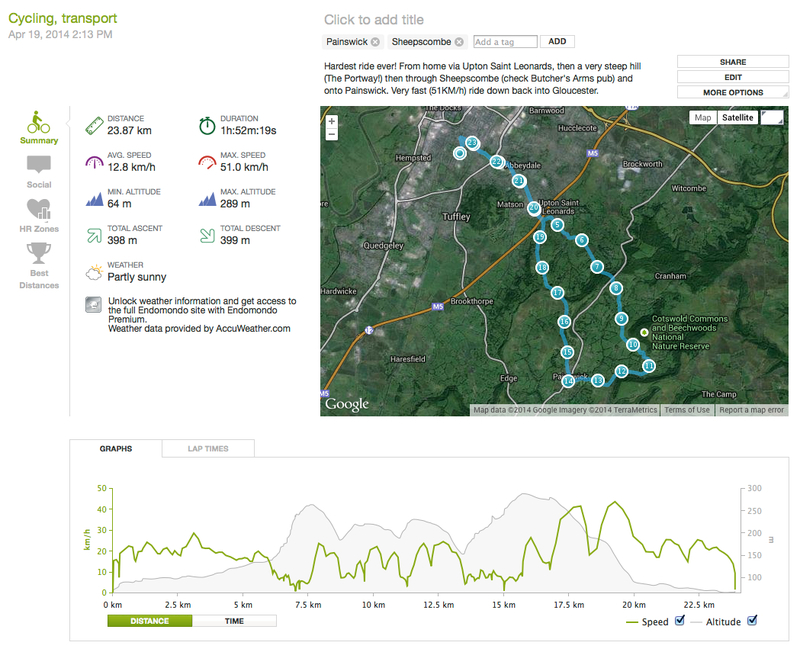 Painswick bike ride, computer test + Endomondo…! I spend 45 minutes setting up the bike computer and also found a tracking program app for the Blackberry called Endomondo, which I also tested. This is just started then left to track progress on the route. 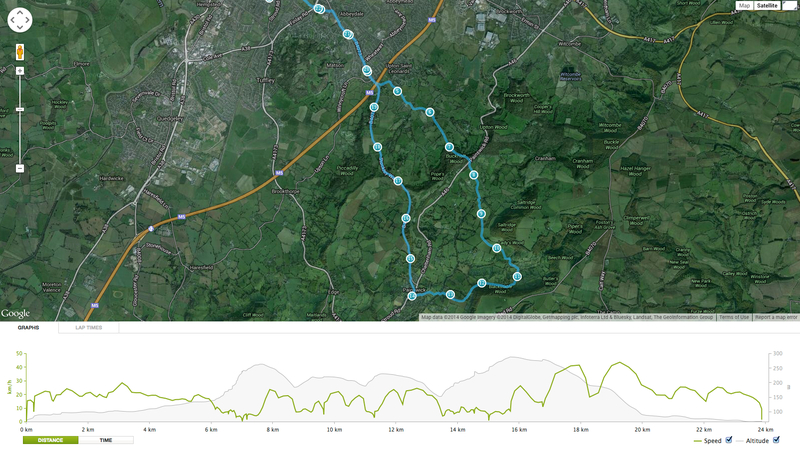 Here is the link to the ride on Endomondo! The bike computer read 24.2km (15 miles), and Endomondo said 23.8km, which is 400m less than the actual distance – not too bad! Max speed was clocked at 51 km/h! Endomondo ended up giving some really cool information, including heights, distances, speeds, split times for each ‘lap’ (km). Some cool graphs on there too. The ride up The Portway was ridiculously steep – I had to stop twice then just gave up and pushed the bike up the last 100m! 175 metres up, over about 1km. Met a young guy walking his horse down the hill as it was too steep to ride and also went past a lady running in the other direction (once i’d cleared the top of the hill) who shouted ‘wow, you must be fit to get up here!’ I just replied ‘yeah – maybe, maybe!’ She hadn’t seen me pushing the bike up the hill! 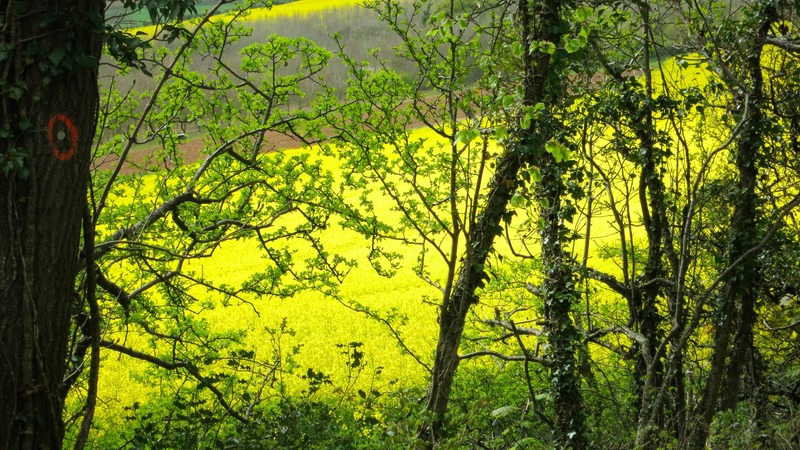 Through Sheepscombe (Butcher’s Arms pub looks really good!) 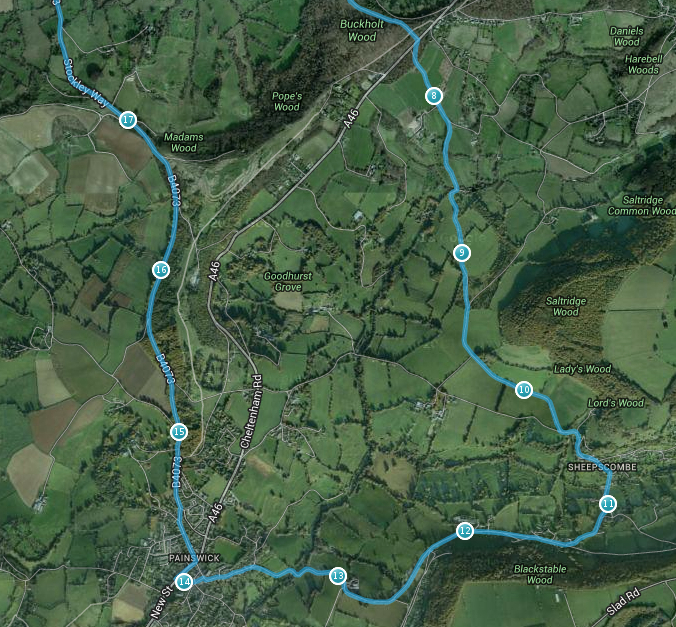 then downhill towards Painswick, then a long uphill through Painswick and beyond. Finally a long and very fast downhill ride back into Gloucester (max speed was clocked at 51.9 km/h (32 mph).